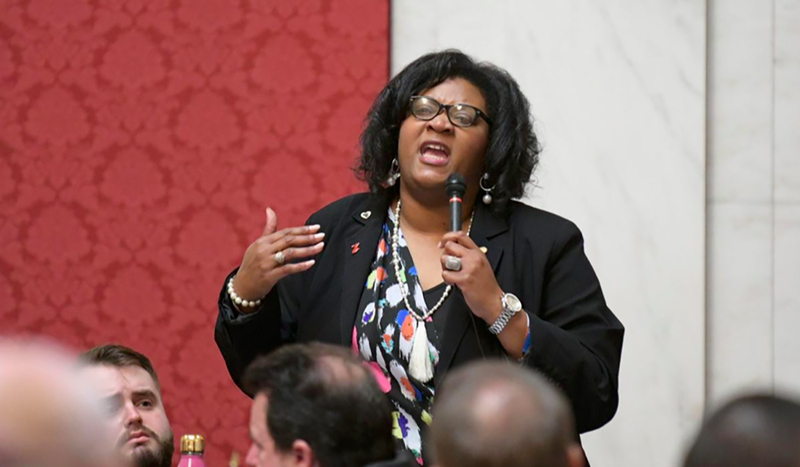 Delegate Danielle Walker, D-Monongalia, condemns anti-LGBT remarks from Delegate Eric Porterfield, R-Mercer, in an impassioned floor speech Thursday. 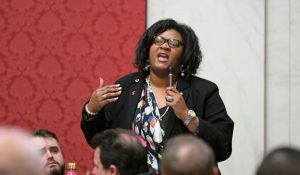 CHARLESTON, W.Va. — House Democrats chewed out a Republican delegate Thursday after he made remarks implying an anti-LGBT-discrimination amendment was a form of bigotry and intolerance. It started Wednesday afternoon when Delegate Eric Porterfield, R-Mercer, went into an extended diatribe supporting legislation that would have enabled LGBT-discrimination in cities that have passed ordinances expressly criminalizing it.